Stand with over a million patriots – and me – by joining AMAC today! AMAC is the conservative alternative! AMAC is better. Better for you. Better for America! AMAC’s membership is made up of patriotic Americans who believe that we have a responsibility to work together to perpetuate American exceptionalism, to unite to keep our country strong, and to preserve it for our children and grandchildren. When it comes to fighting for freedom, fiscal sanity, and keeping a lid on government power, AMAC stands shoulder-to-shoulder with our members. We are a member-driven organization that advocates on behalf of our members – not against them. Together, we bring one clear and resounding voice – your voice – to Washington. Now that AMAC is here, you have a choice! If you share our love of freedom, are proud of our country, and are looking for exceptional benefits that can save you money, then the choice is clear. Join AMAC today! AMAC offers so much more than just advocacy! While AARP was lobbying hard to pass the Affordable Care Act, AMAC and our members were fighting hard against it. 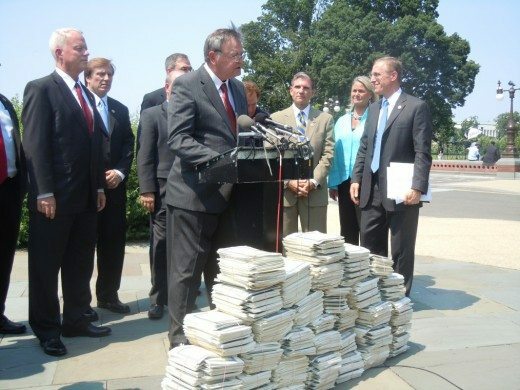 AMAC’s founder, Dan Weber, shown speaking on the steps of the Capitol Building while delivering over 60,000 petitions against ObamaCare signed by AMAC members. AMAC members have access to a comprehensive and growing list of benefits, products, services, and discounts. It is our ultimate goal to provide better benefits than you can find elsewhere – all under one roof – while remaining true to our members. With access to a variety of exceptional benefits – including Medicare and health insurance products, group-discount auto insurance, an exclusively priced roadside assistance plan, a members-only credit card with a robust rewards program, substantial savings on hotels, car rentals, discount dental and vision plans, and so much more – we’re confident that you’ll find great value in your AMAC membership. As an added bonus, all AMAC members also receive our quarterly magazine, “AMAC Advantage”, a free discount prescription card, and our weekly e-newsletter, “AMAC Update”. All this and more from an organization that you will be proud to be a part of! By uniting, we have the power to make a real difference! We believe in the greatness of the United States, in the sanctity of our Constitution, and in the conservative, traditional values that this nation was built upon. We stand with NRA and support the Second Amendment. We agree with our members – we must unite to preserve the values that are so important to us and to our country. There is strength in numbers. AMAC needs you, and more importantly, America needs you! We invite you to stand with us and over a million like-minded Americans by joining AMAC today!